It has been reported that the second-row will give up his armband to the former All Black ahead of the new rugby season. Paul O'Connell has captained Munster for six years. PAUL O’CONNELL IS to step down as captain of Munster Rugby, according to Wednesday morning reports. The Irish Examiner caught up with the second-row, who has captained Munster for the past six years, at the Tuesday launch of the 2012-13 RaboDirect Pro12 in Glasgow. It’s something I thoroughly enjoyed, probably not as much in the first few years as I did in the last few years, but I think it might be time for a change at Munster. O’Connell, who is recovering from a knee injury that cut his 2011-12 season short, is not expected to be sufficiently fit to start the league campaign next weekend. He is more likely to feature for the province in mid-September. He believes that not having the captaincy may give him ample time to focus on his own game and fitness. Penney is also quoted in the newspaper report. The former Canterbury coach said, “Paul is a magnificent leader in his own right and a magnificent man and a critical member of Irish and Munster rugby. Doug Howlett has captained Munster in their first two pre-season games thus far and will once again don the armband when the province face London Irish on Friday. As a former All Black – having last featured for New Zealand in 2007 – Howlett would be able to commit himself to featuring in the majority of Munster’s games and would not be encumbered by the international rugby schedule. Munster team to face London Irish: D Hurley; D Howlett (captain), C Laulala, J Downey, J Murphy; I Keatley, D Williams; W du Preez, D Varley, BJ Botha; D Foley, B Holland; D O’Callaghan, S Dougall, J Coughlan. Email “Penney set to choose Howlett ahead of O'Connell as new Munster captain”. 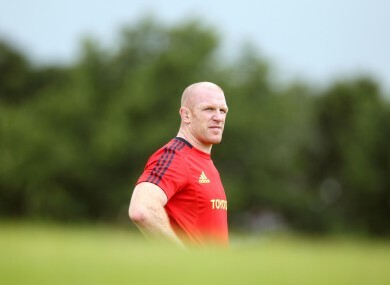 Feedback on “Penney set to choose Howlett ahead of O'Connell as new Munster captain”.